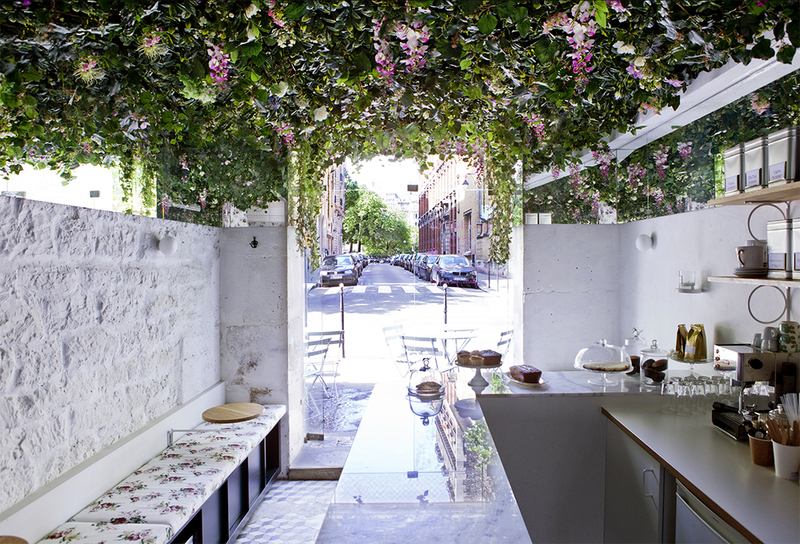 Snapshot: Paris-based designer and Patrick Jouin alum, Marie Deroudilhe dreamed up a tiny, flower-filled cafe sanctuary for Lily of the Valley. 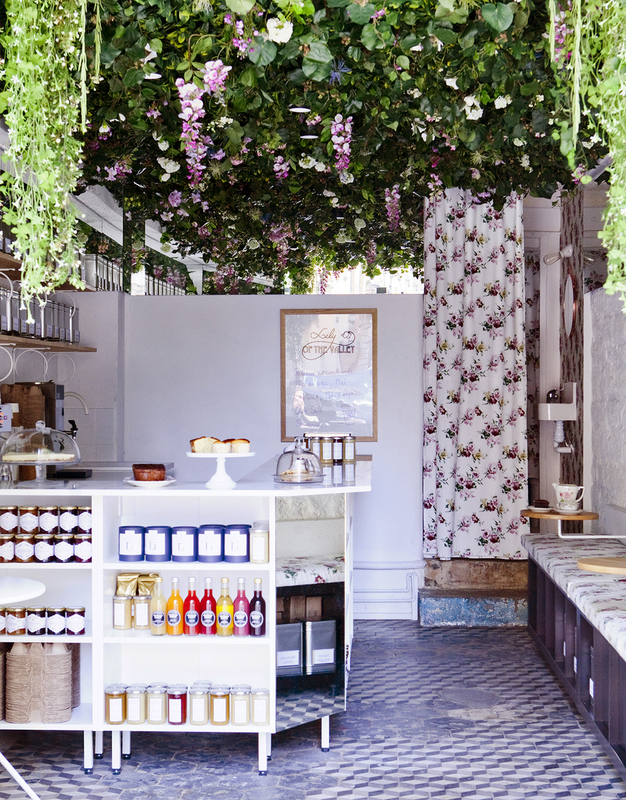 The café is a vibrant little spot that’s bursting with life. Fauna gently hangs from the entire ceiling, creating an overhead garden that definitely sets a relaxing, lush tone. It’s a sanctuary perfect for laying back and enjoying your favorite tea. Mirrors reflect the overhead flowers and greener, capturing light in a way that makes it seem like the reflections are instead windows to a fantastical wonderland. The walls and floors were left in their original state, which creates a flowing distortion of time when juxtaposed with modern design. Deroudilhe wanted to have a “sense of out-of-time” dissonance that would give the little shop a unique and fun flavor. The French cafe is the perfect place to spend the afternoon and embrace the magical atmosphere that Marie Deroudilhe envisioned in Lily of the Valley.